If you&apos;ve ever wanted to bring out-of-town guests to the "most L.A." place to go, it&apos;d probably be The Springs. 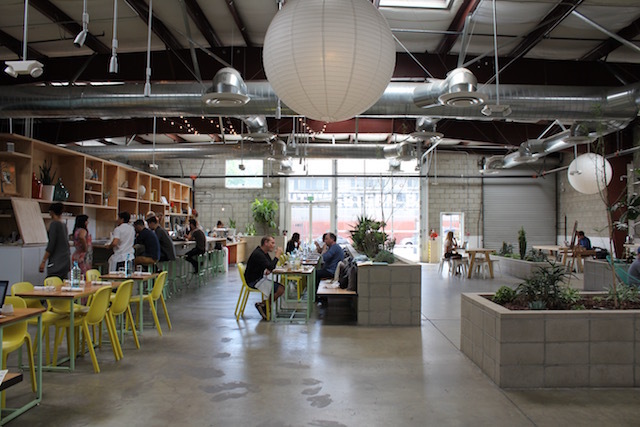 Located in the Arts District of downtown Los Angeles, The Springs is a whopping 13,800 square-foot holistic wellness center that also functions as a co-working space, a juice bar, a yoga studio, a shop, coffee station and, of course, a restaurant. Although the place has been open since 2014, it recently went through a huge revamp, which included bringing in three big name New York chefs to redo the entire breakfast and lunch menu. The Springs, which previously only had a raw vegan menu, now has an extensive plant-based, vegan, and gluten-free menu for breakfast and lunch as well a broad wine list and some unique drinks. Horchata latte, anyone? The Springs&apos; new coffee menu is a completely non-dairy program with their own house-made nut milks. There&apos;s also cold-pressed coffee, smoothies, as well as kombucha on tap. Executive chef Jasmine Shimoda, who has previously cooked under Michelin-starred chefs Masaharu Morimoto, April Bloomfield and George Mendes, is now leading the charge. "After cooking in a lot of crazy kitchens in New York, I wanted to return to L.A. and take in this lifestyle of health and wellness," Shimoda told LAist. "There&apos;s also just something about L.A. where they have some of the freshest and very best ingredients nature has to offer so that makes it a lot fun to create new things." In addition, Chase Elder (Employees Only, Degustation, Vinegar Hill House) and Gregg Drusinsky (Seamore&apos;s, NeueHouse, Le Bernardin) have joined the team to make ingredient-driven, healthy but tasty breakfast and lunch items that will appeal to a larger crowd than the former menu. The LA Phil is Chef Shimoda&apos;s spin on the Philadelphia cheesesteak. 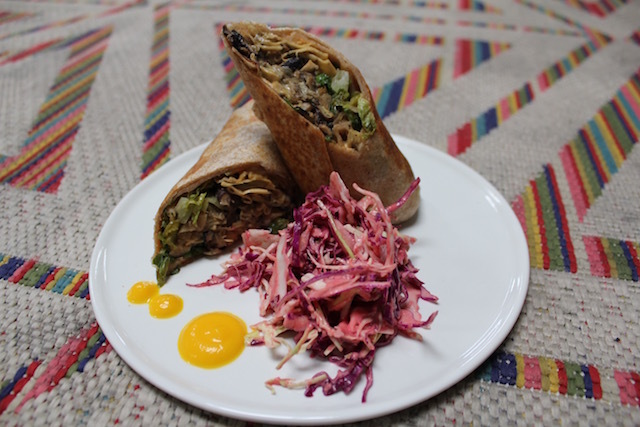 The texture is similar to the real thing except this one is made with with yuba, roasted shiitake, caramelized onions, scallion mayo, romaine, pickled jalapeño. If something a little less savory is more your thing, there&apos;s the coconut veggie wrap with asparagus, basil, pickled daikon, avocado, kelp noodles, lettuce, coconut wrapper and kimchi cashew sauce. The "Bam Bam" noodles are a unique, lighter take on the Sichuan favorite dan dan mian. 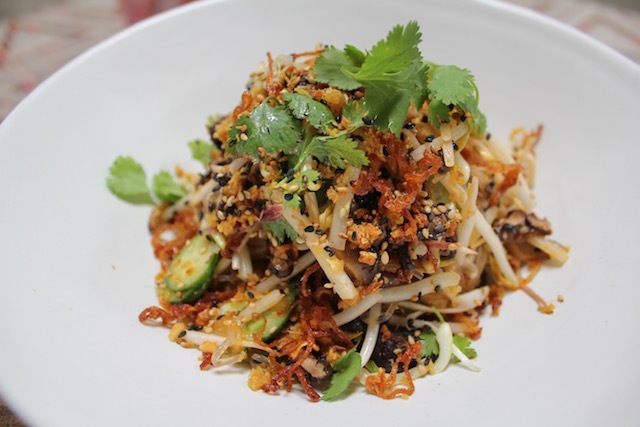 Made with marinated kelp noodles, cucumber, daikon, pickled shiitake and topped with crispy ginger and garlic, the dish even features a slight hint of the traditional ma la numbing spice, a speciality you would not expect to find executed so well outside of the San Gabriel Valley. 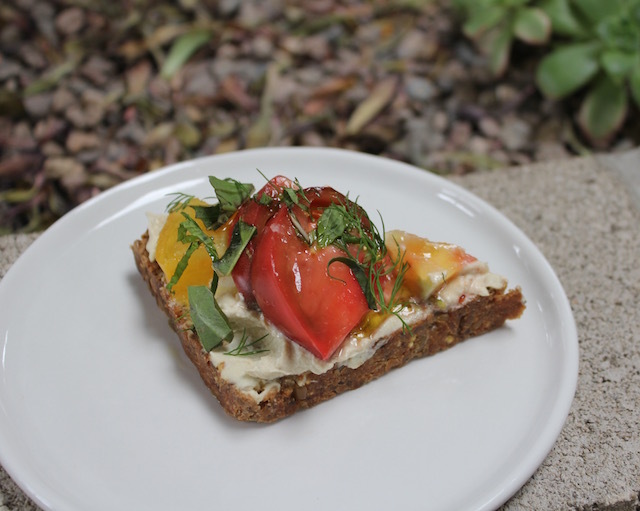 Those that love avocado toast will be big fans of the heirloom tomato bread, made with Chef Shimoda&apos;s jalapeño cream cheese spread over seed bread and topped with fresh herbs and olive oil. Shimoda&apos;s menu was just recently launched and The Springs is currently working on having the restaurant portion open for dinner in the near future. For those that have never been to The Springs, be prepared to budget in some time. There&apos;s so much to do that The Springs that a quick snack can easily turn into a few hour stay. The Springs is located at 608 Mateo St. in the Arts District, (213) 223-6226. The restaurant will serve breakfast and lunch from 9 a.m. - 4 p.m. every day with extended juice bar hours from 7 a.m. - 8 p.m.